Five key lessons for effective information security training. These were comments made by an ‘average technology user’ in research carried out by the National Institute of Standards and Technology (NIST) in the US. They assessed perceptions and beliefs about cybersecurity and online privacy, and identified that people are increasingly desensitised to constant reminders about cyber risks. The NIST research found that many of us often feel out of control or resigned to do nothing in regards to online security. This is further backed up by recent research from the Institute of Directors and Barclays which highlights that despite most businesses surveyed (95 per cent) viewing cyber security as important to their business, this is not then being translated into effective strategies and responses to the risks they face. One of the key findings of this research was that 45 per cent of those businesses surveyed do not have any cyber awareness training in place for their people. Of those that do, 81 per cent undertake training once a year, or less often or simply don’t know. The stark reality is that we know that 90 per cent of all successful cyber-attacks succeed because of human error – the unwitting actions of any one of us, irrespective of our role or responsibility. 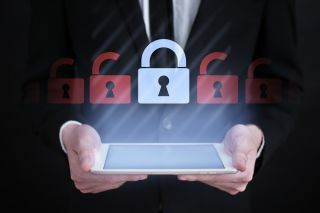 While many forward thinking organisations already recognise the need to provide information security training to all staff, how can this be delivered in a way that overcomes the apathy identified in the NIST study? How can we ensure that Information Security training for non-technical staff really engages them to change behaviours and doesn’t just ‘tick the box’? Stories spark emotions. An emotional response can help drive curiosity and action about subjects we previously thought dull and irrelevant. Stories help to explain the complex and the confusing in new, insightful ways. They can help make people care. The most successful marketing campaigns have a compelling story at the centre of them. Stories have the power to communicate consequences and relevance to audiences. We listen to compelling stories and we empathise – we imagine how this could be happening to us or to people and groups we know and care about. Stories can be shared, can inspire and involve. Keep it simple. Most of us would be defined as ‘average users of technology and in asking for our support and interest in information security from the ‘average user’ we need to talk in a language and provide guidance in a language that will be understood. For example research in 2016 highlighted that 36 per cent of UK adults said they could not confidently define what a phishing attack is. We therefore need to understand what our target audience (the ‘average user’) does and doesn’t know before deciding how we communicate most effectively with them. By adopting these key lessons, I see innovative and engaging Information Security training helping organisations to really embed and sustain better behaviours. Our RESILIA™ Awareness Learning provides first-hand evidence of the power of on-line learning to embed a more resilient security culture. The importance of Health and Safety at work is now widely understood and accepted to help protect organisations and their people. We now need to effect the same change in our approach to Information Security training. Otherwise, too many more organisations will be forced to explain why they’ve been breached to the world’s media.